London: Manchester United's Antonio Valencia gave his best impression of Cristiano Ronaldo on Sunday, scoring one goal and setting up another, to give his side a 2-1 win at Arsenal that keeps the pressure on Premier League leaders Manchester City. Rekindling memories of Ronaldo's seven stellar years with United, Ecuador winger Valencia headed United into the lead in first-half injury time and darted into the area with nine minutes left to present Danny Welbeck with the chance to smash a winner past goalkeeper Wojciech Szczesny. Robin van Persie's 71st-minute equalizer - his 19th league goal of the season - counted for little. The result kept the defending champions within three points of City and further threatened the Gunners' chances of qualifying for next season's Champions League. "We created an amazing amount of chances and to only score two is a bit disappointing," United manager Alex Ferguson said. "We should have rammed home our advantage in the first half. We were really adventurous, positive and had a great belief in ourselves." Arsenal are five points behind fourth-placed Chelsea and 18 behind City. Home fans jeered manager Arsene Wenger's decision to substitute Alex Oxlade-Chamberlain with the score at 1-1, and many left after watching the young winger's replacement - Andrey Arshavin - decided not to challenge Valencia as he broke forward to set up the winning goal. "I can understand that fans are upset about the substitution, especially when it doesn't work," said Wenger, adding that Oxlade-Chamberlain was tired and carrying a calf problem. "People pay their tickets and are free to express their emotions and we have to deal with that. That doesn't mean they are right always." Wenger also left fan favorite Thierry Henry out of the squad, and the on-loan New York Red Bulls striker watched from the stands while Ryan Giggs showed the difference a veteran can make to big games. The 38-year-old former Wales international showed a glimpse of his old pace by twisting and turning up the inside right channel to win a free kick on the edge of the area. That chance amounted to nothing but his next significant contribution was to float in the left-wing cross that Valencia headed in at the far post. United enjoyed plenty of possession, with Michael Carrick probing patiently from deep and Giggs, in his 48th game against Arsenal, showing mobility and vision to consistently put the ball into dangerous areas. Wayne Rooney was too deep to be a real goal threat, and Nani wasted United's best first-half chance when he rolled the ball across goal with both Rooney and Welbeck unmarked and screaming for a pass. Van Persie made United pay for their missed chances, atoning for an uncharacteristic earlier miss with a first-time finish across goalkeeper Anders Lindegaard and in at the far post. That roused the home fans but Valencia showed quick feet to cut into the area, exchange passes with substitute Park Ji-sung and lay the ball off to Welbeck. The striker, who had few opportunities to impress until then, thrashed the ball into the net. Van Persie was largely isolated by Wenger's decision to play a five-man midfield and the only time winger Theo Walcott looked truly menacing was when United rightback Phil Jones collapsed with what looked like a serious injury and left his opponent unopposed. When he next got the ball in a promising area, Walcott leaned back and smashed Oxlade-Chamberlain's 25th-minute cross high over the bar and into the crowd. But United's victory came at a cost, with Jones carried off the field in the 17th with what appeared to be an ankle injury, Nani limping off in the second half and Rooney hobbling at the end following a heavy challenge from Alex Song. 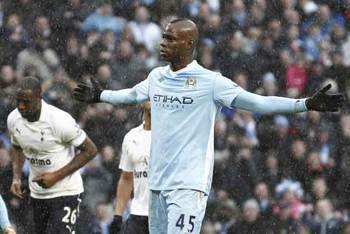 Manchester: Mario Balotelli settled Manchester City's thrilling five-goal encounter with title rivals Tottenham on Sunday and provided the moment of controversy by appearing to stamp on an opponent. Having thrown away a two-goal advantage, Premier League leaders City were being held 2-2 deep in stoppage time when Balotelli was tripped by Ledley King in the penalty area. Referee Howard Webb pointed to the spot and Balotelli clinched the 3-2 triumph, an 11th straight home win in the league that keeps City three points ahead of Manchester United. "I was calm, like every time I take a penalty," Balotelli said. But the volatile Italy striker isn't always so calm. Renowned for various misdemeanors on and off the pitch, Balotelli raised his jersey during a 6-1 rout of United in October to reveal a T-shirt reading: "Why always me?" And again on Sunday he was the center of attention - despite only being a 65th-minute substitute. City took the lead in the 56th minute when Samir Nasri crashed the ball into the net after latching onto David Silva's delightful throughball. Joleon Lescott then doubled the advantage just minutes later, scrambling in from a corner. Spurs responded immediately as Jermain Defoe capitalised on an error from Stefan Savic to beat Joe Hart to the ball and pass home into an empty net. Moments later, Gareth Bale looked to have completed the comeback for the visitors with a fantastic strike from outside the area as his left-footed curler sailed into the top corner. However, Balotelli made no mistake from the spot, sliding into the bottom corner to give City the three points. Tottenham manager Harry Redknapp was furious that Balotelli escaped unpunished 10 minutes before his match-winner, accusing him of deliberately kicking Scott Parker. Having just been booked for a sliding challenge on Benoit Assou-Ekotto, even a second yellow card would have led to Balotelli's dismissal. While City assistant manager David Platt had no comment on the incident because he had not seen it, Redknapp was adamant that it should have seen Balotelli sent off. "He kicked Scott Parker in the head," Redknapp said "He does it a lot, he backheeled him in the face and cut his head. No one can make excuses that he didn't do it, anyone can see he did do it." Parker ended up on the ground after tangling with teammate Luka Modric while trying to block a strike from Balotelli. Slow motion replays showed Balotelli first catching Parker's hands with his left boot and then following through with the studs of his right boot, which landed on the midfielder's head. "What reason did he have to backheel Scott in the head when he's lying on the floor," Redknapp said. Third-placed Tottenham ended the match eight points behind City and five adrift of defending champions United, despite staging a comeback after conceding two quick-fire goals. "We should have controlled the game better than we did," City midfielder James Milner said. David Silva, who had been pulling the strings of City's midfield, provided the opening that allowed City to break the deadlock in the 56th minute following a tight first-half between sides chasing their first English title since the 1960s. Samir Nasri evaded Tottenham defenders Kyle Walker and Younes Kaboul to latch onto Silva's throughball and shoot past Brad Friedel to net for the first time since December 3. Nasri played a part in City's second, three minutes later, sending in the cross that Edin Dzeko flicked toward the far post. While Parker initially blocked the ball, he failed to keep hold and clear, allowing Lescott to scramble it over the line. City were cruising just like in their 5-1 rout of Tottenham in August, only for the visitors to be gifted a route back into the game inside a minute. Younes Kaboul launched the ball forward and Stefan Savic's attempt to make a headed clearance only directed it back into the path of the onrushing Defoe. The England striker met the ball and rounded keeper Joe Hart on the edge of the penalty area before coolly slotting home. The comeback was on, with the equalizer coming five minutes later. Aaron Lennon broke free on the left flank before squaring to Bale, who lifted the ball beyond the reach of Hart into the top corner. "We were well on top, scored the two goals and probably should have controlled the game better than we did," Milner said. "We took our foot off the gas, gave them one sloppy goal," he added. "They're a good team, if you give them a sniff it gives them the momentum to go on." And Tottenham could have snatched a stoppage-time winner themselves had Defoe connected with Bale's cross after being picked out at the far post. But then came a rare blip for King in the Tottenham defence, having not been on a losing side since August 2010, and Balotelli's winner. "It looked like a penalty," Redknapp said. "But the boy who scored the penalty shouldn't have been on the pitch." Redknapp's attention now shifts to Southwark Crown Court, where his trial on two counts of tax evasion starts on Monday. The charges emanate from his time in charge of Portsmouth, which he left in 2008 to join Tottenham. Margao: Defending champions Salgaocar played with determination and zeal to outplay Churchill Brothers 3-0 in a 16th round I-League derby clash at the Nehru Stadium here on Sunday. Goals from Isfaq Ahmed (30th), Edeh Chidi (34th) and Ryuji Sueoka (84th) helped Salgaocar score their sixth consecutive win and move up the ladder with 28 points from 16 matches. Churchill Brothers remained on 29 points from 15 matches. Salgaocar started aggressively and penetrated into the rival goals with a series of moves. Salgaocar's midfield put up a solid performance with Man-of-the-Match Tomba Singh spearheading the attack. Ryuji Sueoka had the first chance to put his team ahead but his chip from an acute angle was put out of danger by rival keeper Felix D'Souza. 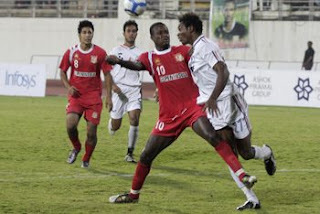 Churchill Brothers coach Manuel Gomes played Roberto Silva and the move back-fired as their midfield failed to function in the absence of injured Lalrindika Ralte, which saw the rivals dominating the proceedings. Churchill had a couple of clear chances to take the lead but their strikers once again fumbled in front of the goal as they failed to get past Salgaocar keeper Karanjit Singh, who made saves from Roberto Silva and ND Opara. Churchill Brothers conceded two goals within a span of four minutes. A swift move from the middle saw Tomba Singh send a forward pass which rival defenders delayed to intercept. 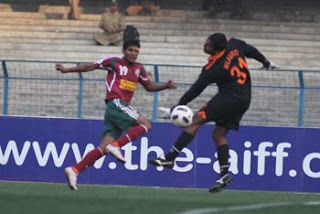 Ishfaq Ahmed ran and won the ball beating a defender before sending the ball to the far corner of the net. Rome: AC Milan, Udinese and Inter Milan each won on Sunday to join Juventus in what is turning into a rare four-way race for the Serie A title at the Italian season's mid-point. Milan won 3-0 at last-placed Novara with two goals from Zlatan Ibrahimovic and another from Robinho; Pablo Armero and Antonio Di Natale found the net to steer Udinese to a 2-1 victory over Catania; and Inter came from behind to beat Lazio 2-1 with goals from Diego Milito and Giampaolo Pazzini for their seventh consecutive victory. Juventus, who beat Atalanta 2-0 on Saturday, hold a one-point lead over Milan and are three points in front of unsung Udinese, who have never finished higher than third. Inter, who were once 15 points back, now trail by six points after having leapfrogged Lazio into fourth place. For the most part, the Serie A title race has been a two-team affair in recent seasons, with Inter winning five consecutive championships from 2006-10 and Milan taking the title last year. "We needed to get three points after losing the derby," Milan coach Massimiliano Allegri said, referring to last weekend's 1-0 defeat to Inter. "We've got 40 points, which is what we had last year after the first half of the season. Juve have done better and they've got one more point, but there are 19 matches to go. I'm pleased with what the lads are doing." Next weekend, Udinese visit Juventus. "I don't know how long we'll last because we're spending a huge amount of energy, but I realize that we're turning logic upside down, because usually in football whoever invests the most wins," said Udinese coach Francesco Guidolin. "We're only half-way through the season and it won't be easy for us, but we're going to try." 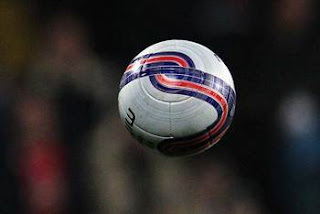 In other matches, it was - Lecce 2, Chievo Verona 2; Palermo 5, Genoa 3; Siena 1, Napoli 1; and Cagliari 0, Fiorentina 0. Earlier in the lunch-time fixture, Bologna and Parma played to a 0-0 draw, with Parma captain Stefano Morrone exiting at half-time and heading to the hospital, where his son was being treated for a reported breathing problem. "There was a moment of panic and we decided to tell Stefano," said Parma coach Roberto Donadoni. "When you're talking about a six-month old baby, it's alarming, but it was resolved well." The start of the Cagliari-Fiorentina match was delayed by a half-hour due to a workers' protest over the closing of an Alcoa aluminum plant. Workers surrounded both the hotel where Fiorentina were staying and Cagliari's training center, forcing both clubs to leave late for the stadium, according to the ANSA news agency. On Wednesday, Milan needed an extra-time winner from Alexandre Pato to beat Novara in the Italian Cup, and it again looked like the Rossoneri might struggle when Ibrahimovic, Thiago Silva and Stephen El Shaarawy each failed to take advantage of chances in the first half. However, Milan captain Massimo Ambrosini found Ibrahimovic all alone in front of the goal for an easy finish in the 57th, Robinho scored from close-range in the 73rd and Ibrahimovic found the target again in the 90th off a rebound to tie with Di Natale as the league's leading scorer with 14 goals each. In Udine, the hosts took control when Colombian winger Pablo Armero finished off a counter-attack in the 19th, and Armero then provided the cross when Di Natale scored with a volley in the 53rd. Francesco Lodi pulled one back for Catania with a penalty in the fifth minute of added time. At the San Siro, Lazio took the lead with an angled shot from captain Tommaso Rocchi in the 30th. Milito equalized in the 44th after receiving a pass from Ricardo Alvarez for his fifth goal in four games - having scored the derby winner a week ago. Pazzini hit the winner this time, collecting a long headed pass from Lucio and splitting the offside trap before lobbing a shot over the 'keeper in the 63rd. In Siena, former Napoli forward Emanuele Calaio put the hosts in front with a header in the 67th and goalkeeper Gianluca Pegolo made an impressive save to stop a penalty from Napoli forward Edinson Cavani in the 79th. However, Napoli still equalized with a header from forward Goran Pandev in the 86th. In Sicily, Palermo forward Fabrizio Miccoli set up three goals and scored another. After Rodrigo Palacio had put Genoa in front in the 13th, Igor Budan, Matias Silvestre and Andrea Mantovani struck back for Palermo. Palacio then converted a penalty in the 59th to make it 3-2, Miccoli scored in the 75th to restore Palermo's two-goal lead and Giulio Migliaccio added another by meeting a free kick from Miccoli with a header in the 84th. In Lecce, Chievo went ahead with two early goals from Alberto Paloschi and Lecce equalized with strikes by Andrea Esposito in the 30th and David Di Michele in the third minute of second-half added time. Bolton: Liverpool were surprised by the team with the worst home record in the English Premier League when they lost to Bolton Wanderers 3-1 on Saturday. Former Liverpool forward David Ngog had a hand in goals for Mark Davies and Nigel Reo-Coker that seemed to put Wanderers well in control. Craig Bellamy, a constant threat for Liverpool, halved the deficit in the 37th minute before becoming embroiled in an altercation with Reo-Coker as the teams went down the tunnel at half-time. Then a first goal of the season for defender Gretar Steinsson restored the two-goal cushion for Bolton, who rose four points above the relegation zone. Liverpool, who face a mid-week League Cup semi-final second leg at home to Manchester City, came no closer to scoring again than a long-range shot from defender Daniel Agger that struck the crossbar in the 70th. Manager Kenny Dalglish, whose team also has a high-profile FA Cup fourth-round tie with Manchester United at Anfield on Saturday, accused his players of being distracted by the forthcoming cup games. 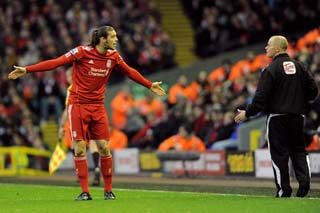 "The most disappointing thing for me is I don't think we were ready to play the game," Dalglish said. "I don't think the approach was correct, I don't think the way we went about our work was correct. The foundation of the football club has always been built on respect for other people, built on the philosophy that the next game is the most important one, not the one that's two or three down the line." "If they needed a lesson to be taught to them, then today was it. If they thought they could just turn up and get a result and not match the opposition for effort and commitment, then they got a lesson today." "If that was what the problem was, if they thought this game was not as important as the next one, then fine — but they won't be here." The visitors, who had won their last 10 league meetings with Bolton, faced an uphill battle from the fourth minute when Chris Eagles' pass was fed by Ngog into the path of Mark Davies. Despite Martin Skrtel at his heels, Davies scored past advancing goalkeeper Jose Reina. Liverpool's luck appeared to have deserted them just before the half-hour when their strong penalty appeal for handball by Zat Knight was turned down, and moments later they found themselves trailing 2-0. 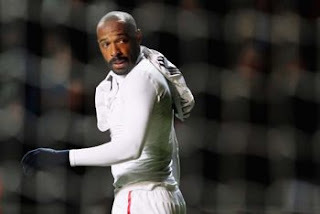 Bolton broke down the other end of Reebok Stadium, with Ngog and Eagles exchanging passes before the latter played a lofted pass which Reo-Coker controlled on his chest and lobbed superbly over Reina. "I'm thrilled for the players but even more happy for the fans," Bolton manager Owen Coyle said. "At 2-1, Liverpool were back in the game but the fans got behind our players and that was pleasing to see. We've got to turn the Reebok into a fortress again and when you get that atmosphere here, it helps." Bolton keeper Adam Bogdan's long clearance was headed back by Daniel Agger and on by Andy Carroll, springing Bellamy beyond the static Bolton defence before he scored from a dozen yards. Reina saved well on the stroke of half-time from a 20-yard Martin Petrov free kick, awarded after Bellamy fouled Reo-Coker, the source of their simmering argument. But Bolton wasted little time after the restart restoring a deserved two-goal cushion. A spell of pressure ended with Petrov's left-wing corner being met at the far post by David Wheater, who headed across goal and found the unmarked Steinsson to drive home from around the penalty spot. Norwich: Chelsea's slim Premier League title hopes took another blow as their expensive strikeforce misfired in a 0-0 draw at Norwich City on Saturday. Spain internationals Fernando Torres and Juan Mata - who cost Chelsea a reported 76 million Pounds between them - squandered the best chances as the visitors failed to take advantage of their second-half dominance at Carrow Road. Chelsea stayed fourth in the standings, 10 points behind Manchester City ahead of the leaders' home match against third-placed Tottenham on Sunday. "The second half was all ours. 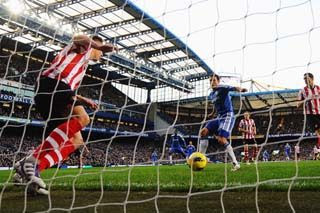 We finished with 12 shots on goal and we couldn't find the back of the net again," Chelsea manager Andre Villas-Boas said. "It was a frustrating day. For a super-motivated Norwich, (the result) is not bad. For us in the league, it's not enough." Torres, who toe-poked softly wide in the 60th minute with Chelsea's best chance, extended his barren run in front of goal to 15 club matches since his brace at home to Genk in the Champions League on October 19 - the longest drought of his club career. "He had a good couple of chances ... you have to position yourself to have those good chances and he was there, present," Villas-Boas said. "With a little bit more luck he will find the back of the net." Norwich, who began the match in ninth place, hung on grimly at the end to earn their first clean sheet since returning to the top flight for this season. "You know you are going to come up against a team who will create chances when you play Chelsea, but the game plan worked again and we've got a very good point," Norwich goalkeeper John Ruddy said. Chelsea, though, will see it as two points dropped in their bid to stay in the Champions League positions and remain alive in the title race. Fifth-placed Arsenal can trim the gap to Chelsea to two points with a win at home to second-placed Manchester United in Sunday's other pivotal match at the top of the table. Norwich weren't without chances of their own, with hard-working striker Grant Holt slashing wide in the 10th minute as he attempted to extend his haul of league goals to eight. Chelsea, looking for a third straight win, had to withdraw Frank Lampard in the 37th with what appeared to be a calf injury but his replacement, Florent Malouda, played an integral role in pushing the team forward in the second half. Torres, who cost 50 million Pounds in January last year, skied over from about 25 yards before missing his golden chance two minutes later after controlling Jose Bosingwa's deflected cross eight yards out. Brazil midfielder Ramires and Daniel Sturridge also wasted openings in a one-sided second half. Juan Mata, Torres' Spain teammate, saw a late shot excellently saved by Norwich goalkeeper John Ruddy and also fired wide from a good position as mid-table Norwich were left hanging on by the end. Chelsea's new signing, England defender Gary Cahill, wasn't part of the matchday squad. 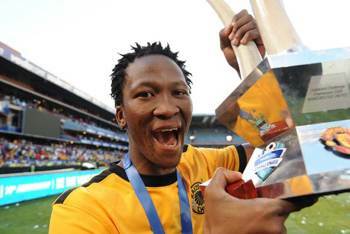 Johannesburg: South African footballer Jeffrey Ntuka was stabbed to death Saturday, a football website said. The stabbing took place in a nightclub in the 26-year-old Ntuka's hometown of Kroonstad in the Free State province, Xinhua reported. The report said the former Kaizer Chiefs and SuperSport United player - who is a product of English giants Chelsea - may have been stabbed after a brawl. Ntuka's representative group Stella Africa confirmed the news. "I just spoke to his wife for a couple of minutes and she confirmed that Ntuka has passed away after being stabbed in a township in Kroonstad," Stella Africa's Michael Hughes told the website. Ntuka had five Bafana caps and was a former regular South Africa under-23 player. He joined Chelsea in 2003 as an 18-year-old without featuring for the side. He was loaned out to Belgian side Westerlo until his contract expired in 2009. He returned to South Africa to join Kaizer Chiefs for two seasons, and last played for SuperSport United, both without commanding a regular spot in a career hampered by alleged alcohol abuse. "When his contract expired with United, he had an unsuccessful trial with a second division Belgian side, but we have been motivating him, and he has been keeping fit," said Hughes. The South African Press Association said Ntuka was part of a troubled generation of footballers that were one of the causes of the national team's downslide in the last decade. London: Clint Dempsey became the first American to score a hat-trick in the English Premier League as he steered Fulham to an astonishing 5-2 comeback victory over Newcastle on Saturday. Dempsey completed the second hat-trick of his five-year career in English football in a 30-minute span in the second half, just two weeks after scoring the first - against Charlton in the FA Cup on January 7. Newcastle dominated the opening 45 minutes and a superb drive from around 25 yards from Danny Guthrie put the visitors deservedly 1-0 ahead at half-time. But Danny Murphy leveled from the penalty spot in the 52nd minute and Dempsey struck twice - his first being his 50th goal for Fulham - to leave the home side firmly in control. Bobby Zamora converted another spot-kick in the 68th minute before Dempsey completed his hat-trick in the 89th. Hatem Ben Arfa had pulled a goal back for Newcastle by then. His latest feat took Dempsey to a career-best 15 goals this season, two more than his previous best last season, and a total of 52 since the 28-year-old forward joined Fulham from New England Revolution in January 2007. "We never found our rhythm in the first half but we began to get into their penalty area in the second half," Dempsey said after taking his Premier League tally to nine goals. "Danny Murphy scored the first goal and then we kept going and going. Luckily the ball kept going in. We never took our foot off the gas and we took our chances." Fulham manager Martin Jol was delighted with the American's performance and was keen for it continue as the team moved eight points away from the relegation zone. "Clint Dempsey is our topscorer," Jol said. "He is doing what he does best. Clint scores goals and if he can score 12 goals this year and some other players do, we will be fine." Coming into the match, Jol spoke of making amends for last weekend's 3-1 defeat at 10-man Blackburn, but his side struggled to stamp their authority during the opening exchanges. Fulham's difficult opening period got worse when Steve Sidwell - one of Fulham's better players - limped off in the 37th minute to be replaced by Andrew Johnson, forcing Jol to alter his tactics. The substitute partnered Zamora in attack as the home side moved to a 4-4-2 formation, although they could not stop Newcastle dominating, with Guthrie finding the net as half-time approached. Jol made his second alteration of the afternoon at the break, replacing Bryan Ruiz with Chris Baird. The change saw Fulham become a more coherent unit and brought a penalty within six minutes, when Damien Duff was brought down. Murphy sent keeper Tim Krul the wrong way with the resulting penalty. Fulham turned up the pressure and, after neat interplay between Johnson and Zamora, Krul parried the latter's shot across goal and Dempsey bundled home at the far post. Baird fired a 35-meter effort over as the hosts pressed for a third goal, which duly arrived in the 65th minute. More neat interplay between Fulham's strikers started the move as Johnson laid off to Zamora and he played through Dempsey, who showed real composure to fire across Krul. Fulham netted a fourth three minutes later when Johnson shrugged off a rough challenge by Mike Williamson before being hauled down by Krul, who received a booking and was then beaten from the spot by Zamora. Fulham sat back as the game wore on and Newcastle pulled a goal back five minutes from time when Ben Arfa jinked past John Arne Riise to fire home, although Dempsey soon ended any hopes with his hat-trick goal. A day after he was voted player of the year by the US Soccer Federation, the Texan burst through the middle to latch onto Zamora's chipped pass and fire past Krul. In other matches on Saturday, Chelsea squandered a chance to trim the gap on the Premier League pacesetters, drawing 0-0 at Norwich on a day when Liverpool also stumbled to away defeats in their pursuit of a top-four finish. Qualifying for the Champions League may be Chelsea's main target now, so news of Liverpool's 3-1 defeat at Bolton and Newcastle's 5-2 loss at Fulham will have been welcome. At the other end of the standings, bottom team Wigan's plight worsened by losing 3-1 at Queens Park Rangers — their 13th defeat in 22 games. Heidar Helguson, Akos Buzsaky and Tommy Smith were the goalscorers for QPR, with Colombia striker Hugo Rodallega replying for Wigan. Ireland striker Robbie Keane grabbed a second-half double - his second in the 84th minute proving to be the winner - as Aston Villa rallied to beat Wolverhampton Wanderers 3-2. Keane was making his starting debut after moving to Villa on a short-term loan deal from Los Angeles Galaxy. Villa's Darren Bent scored his 99th Premier League goal from the penalty spot in the 10th minute of the Midlands derby, but Michael Kightly leveled with a low drive and David Edwards made it 2-1 to the hosts in the 31st minute. Keane equalized after 52 minutes on his full Villa debut, swiveling round to drill home a low shot. However, the Irishman did not celebrate the goal against the club where he started his career, despite the boos he received throughout the game. Wolves were reduced to 10 men in the 75th minute when Karl Henry was sent off for kicking winger Marc Albrighton, who was on the ground. They later paid the price as Keane, who is on a two-month loan from the Galaxy, smashed home the winner in the 84th minute with an unstoppable shot. The result left Villa in mid-table security, while Wolves are still mired in the relegation zone after their sequence without a league win was extended to eight games. Sunderland beat Swansea 2-0, Blackburn grabbed a 1-1 draw at Everton, dropping into the Premier League's relegation zone, and West Bromwich Albion claimed a first win in 2012 by beating Stoke 2-1. Australia midfielder Tim Cahill went from hero to villain for Everton, opening the scoring against Blackburn with his first goal in 13 months but then seeing his goal-line clearance strike visiting forward David Goodwillie in the chest and rebound into the net for the equalizer. Cahill had tucked the ball home from close range in the 24th, although there was a suspicion of handball from Marouane Fellaini in the build-up. Everton manager David Moyes acknowledged his team was lucky to emerge with a point. 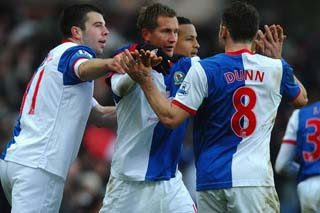 "Blackburn had the better of the first half and we were certainly fortunate to go in 1-0 up," Moyes said. "But I hoped that once we got it, even though it wasn't one of our better days, we could have hung on to it." Stephane Sessegnon and Craig Gardner scored for Sunderland as the team's revival under new manager Martin O'Neill continued. Graham Dorrans' was the match-winner for West Brom at Stoke, his injury-time free kick through a crowd of players bringing the team a first league win since December 21. Rome: Juventus won 2-0 at Atalanta to stay top at the Italian league's mid-point and Roma captain Francesco Totti sealed his place in the Serie A record books with two early goals in a 5-1 win over Cesena on Saturday. Juventus hit the woodwork twice but struggled to find the target until Stephan Lichsteiner crouched down to head in a perfect pass from Andrea Pirlo in the 55th minute. Second-half substitute Emanuele Giaccherini then doubled the lead in the 81st with a volley after slipping through Atalanta's offside trap. The victory moved Juventus four points clear of AC Milan, who visit last-placed Novara on Sunday. Earlier, with his 211th goal for Roma in Serie A, Totti broke 1950s AC Milan stand-out Gunnar Nordahl's previous mark of 210 for the most goals with one club in the Italian league. Totti put Roma ahead after 40 seconds at Stadio Olimpico and doubled the lead in the eighth, before Fabio Borini made it 3-0 a minute later. Eder pulled one back for Cesena in the 58th but Juan restored Roma's three-goal lead in the 62nd and Miralem Pjanic completed the rout in the 70th. "This is what I've always wanted: To always wear the same jersey and to beat record after record," said the 35-year-old Totti, who made his Serie A debut in 1993 at 16 and has played his entire career for his hometown club. On the overall scoring list, Totti was fifth, trailing only Silvio Piola (274 goals), Nordahl (225), Giuseppe Meazza (216) and Jose Altafini (216). "I dedicate these goals to my sister-in-law, who recently gave birth, and the victims of the Costa Concordia," Totti added in a half-time TV interview, referring to the capsized cruise ship off the Tuscan coast. Roma moved into sixth place, eight points behind Juventus. It was Roma's third consecutive league win and fourth straight in all competitions. The Giallorossi also have to complete a game with Catania that was suspended at 1-1 in the second half last weekend due to heavy rain. Cesena remained stuck in the relegation zone, three points above the bottom. Atalanta, who have a six-point penalty from a match-fixing and betting scandal, were 15th, five points above the relegation zone. There were moments of tension between opposing fans immediately before kick-off at Bergamo's Azzurri d'Italia Stadium, but it was all Juventus once the match started. While Juventus remained undefeated, they may have lost a couple of players to injuries, with Claudio Marchisio exiting at half-time for a physical problem and winger Simone Pepe limping off grasping his right calf mid-way through the second half. Earlier, Erik Lamela, a 19-year-old Argentine forward tapped by some as Totti's possible successor, set up both of the captain's goals. First, Totti took a backheel pass from Lamela and fired inside the near post, then he collected a lob pass from the Argentine and scored with an expert volley, even though replays showed he was clearly offside. Borini's goal was the product of a defensive error, with Gianluca Comotto losing the ball to allow Leandro Greco to cross to the waiting Borini in front of the goal. Cesena came out slightly more organized after the break and Eder slipped through Roma's defence and dribbled by goalkeeper Maarten Stekelenburg to score into an empty net. Totti then nearly completed a hat-trick with a shot that was just wide on the hour, and Brazil defender Juan scored off a rebound two minutes later. Totti exited to a standing ovation in the 65th and Pjanic converted a rebound of his own shot five minutes later as Cesena's defence again lacked order. Eder nearly had another goal in the 75th but Stekelenburg did well to stop the Brazilian as he attempted to dribble around the goalkeeper. Totti has 266 goals in all competitions for Roma, although Juventus captain Alessandro Del Piero has 285 for the Italian record in that category. 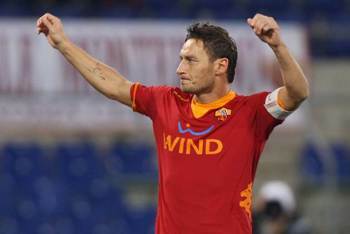 "I feel good now," said Totti, who had hinted he was thinking of quitting while he struggled this season. "I'm enjoying this splendid moment and I'll continue to play as long as my body will allow me to do what I want, otherwise I'll be the first to stop." Rio de Janeiro: Brazil legend Pele has praised Barcelona star Lionel Messi, but noted that the Argentine still has a long way to go to be as successful as he was. The Argentina international became the second player in the history of the Ballon d'Or to win the prestigious award three times in a row when he lifted the title earlier this month in Zurich. 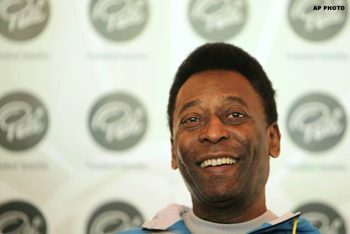 Pele acknowledged that he is a fan of Messi, but stressed that the diminutive Argentine faces a hard task to equal him. "Technically speaking, we are practically at the same level," Pele told Le Monde. "We have both received a gift from God. "Records are made to be broken, but it will be hard to break mine. When Messi has scored 1,283 goals and won three World Cups, then we will talk. "People ask me all the time when there will be a new Pele. I tell them: 'Never'. My parents shut down the factory." Manchester: Manchester United manager Sir Alex Ferguson has dismissed suggestions that Danny Welbeck is refusing to sign a new contract with the club. Welbeck was reported this week to be stalling on a new deal in a similar fashion to Paul Pogba and Ravel Morrison, with the 21-year-old supposedly angling for a 60,000-pound-per-week deal. The United boss also had encouraging words regarding the fitness of injured duo Ashley Young and Tom Cleverley. He said: "They are doing a good running programme at the moment and their fitness levels are good." On Cleverley, he added: "I am hopeful in 10 days' time, he will be playing football on the training side of it. That is the plan anyway, unless there is any recurrence. We can kick on and then it depends how he does in training." Ferguson also had positive news on the fitness of defensive duo Phil Jones and Chris Smalling, with both defenders expected to be available for selection on Sunday against Arsenal. "Phil and Chris will be fit," he said. 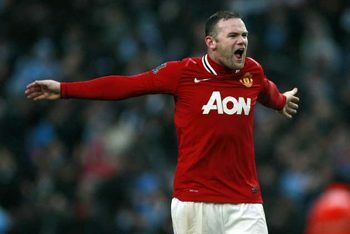 Manchester: Manchester United striker Wayne Rooney does not believe Chelsea and Arsenal should be ruled out the title race just yet. The England striker, 26, believes the Gunners – who the Red Devils will face at the Emirates Stadium on Sunday – have vastly improved over the course of this campaign. Rooney credits manager Arsene Wenger for their rejuvenation and he believes results like the 8-2 thrashing at Old Trafford are a thing of the past for the London club. "It wasn't just that one result. It was the way they started the season," he told the club's official website. "They didn't get the results they needed and a lot of stuff was said about them. 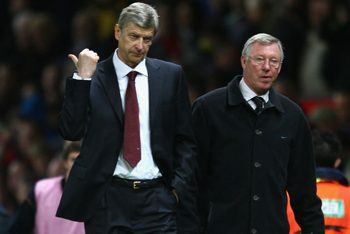 But since then, they have gone on a great run and won a lot of games, as any team under Arsene Wenger is capable of doing." "I certainly wouldn't write them off. They are capable of going on a big run and whilst I still think us, City and Tottenham are the three favourites, Chelsea and Arsenal could still have a big say in it." Tottenham are two points behind second-placed United while the reigning champions sit three points adrift of league leaders Manchester City. Rooney, who has won four Premier League titles at Old Trafford, said: "Tottenham and City are both new to the challenge of the league. "In previous years it has been Chelsea, Arsenal and Liverpool all the time. It is great for the league that so many teams can win the league now." Manchester: Rio Ferdinand is a major doubt for Manchester United's trip to Arsenal on Sunday after breaking down in training with a back injury, Goal.com has learned. The England defender suffered the injury on Thursday, missed training on Friday and is not expected to take part in the club's final session on Saturday ahead of the match. United's coaching staff do not want to take any chances with the 33-year-old, who has suffered with persistent back problems over the last 12 months. Sources have told that Ferdinand is considered "highly doubtful" for Sunday's mouth-watering Premier League showdown at the Emirates Stadium. Manager Sir Alex Ferguson does not want the defender, who has missed big chunks of the last three seasons through injury, to suffer long-term damage, although the fear within the club is that it could herald another lengthy absence for the veteran centre-back. 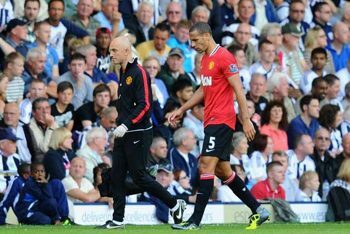 Ferdinand also suffered concussion in United's 3-0 win over Bolton Wanderers last weekend, although he took to Twitter on Tuesday to rubbish rumours that he could be sidelined for the Arsenal game. Ferguson did not reveal any details of Ferdinand's new injury in his pre-match media briefing on Friday morning, saying only long-term absentees Nemanja Vidic, Michael Owen and Fabio Da Silva were unavailable. 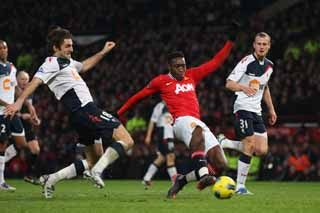 However, the United boss did reveal that Phil Jones and Chris Smalling are fit again after missing the Bolton victory. He is likely to pick two of Jones, Smalling and Jonny Evans to pair up at centre-back. Doubts about Jones’ reliability mean his athleticism could once again be used either at right-back or in central midfield. Ferdinand has started 13 of United's 21 league matches this season and five of the club's six Champions League group games, an improved ratio on recent years. But the winner of 81 international caps has lost his regular starting place for England and Ferguson said last November that he needs to adapt his game to make up for the pace he has lost. Madrid: Spanish leaders Real Madrid will be wary of a surging Athletic Bilbao as they look to shake off another disappointing loss to Barcelona and focus on maintaining their five-point lead over the defending champions. Bilbao, who have won three straight and are unbeaten in seven matches, are fifth in the league and in the chase for a European place, maybe even a Champions League spot, under new coach Marcelo Bielsa going into Sunday's game at the Santiago Bernabeu stadium. Marca newspaper reported on Friday that Madrid coach Jose Mourinho will leave Pepe out of the squad following the Portugal defender's performance in Wednesday's 2-1 Copa del Rey loss to Barcelona, when he stamped on Lionel Messi's hand. Pepe has been Madrid's most used centerback since his arrival in 2007, but Madrid may have seen enough after his ferocious temper - he was once banned for 10 games for stamping on a player's back unprovoked - got the better of him again against Barcelona. Mourinho may not rush injured forward Angel di Maria back against Bilbao, with the return leg of the Copa del Rey tie at Barcelona's Camp Nou on Wednesday. Bielsa came under fire after Bilbao started with only two points from their first five matches, but the Argentine coach has dramatically turned the tide with his young, talented team winning 14 of their 24 matches in all competitions since, with only two losses. Spain striker Fernando Llorente has returned after missing more than a month to injury, while Iker Muniain remains a potential call-up to Spain's Euro 2012 team as the teenage forward continues to thrive under Bielsa. "He's improved with every game since the start of the season," Bielsa said of the Spain Under-21 international, who alongside Llorente, Javi Martinez and Andoni Iraiola could help the European champions defend their crown in Poland and Ukraine come June. "The team is cohesive, compact and playing assuredly." Barcelona, meanwhile, travel to Malaga to close out the first half of the season in which they have struggled on the road. The European champions have managed to collect just 13 of 24 points in eight away games this season, and they cannot afford to drop many more points if they hope to catch Madrid, who have won the league 23 of 32 times when they finished the first half of the season at the top of the table. 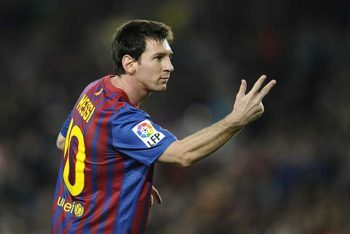 "(We) feel like when we are ourselves and play like we know, no team can beat us," Barcelona defender Gerard Pique said. Barcelona coach Pep Guardiola admitted that Messi is not 100 percent after the Madrid win, when the Argentina international set up Eric Abidal for the late winner. "He'll find his form, we can never doubt him," Guardiola said of the three-time Ballon d'Or winner. "It's a long season and competing against such physical players like (Madrid have) it's easy to throw him off." Malaga are eighth in the standings, three points back of sixth-placed Osasuna as they face third-placed Valencia, who are looking to bounce back from last week's league loss. Sevilla and Real Betis play the first Sevilla derby in nearly three years on Saturday, while Villarreal will bid to finish the first half of the season out of the drop zone with a victory over Sporting Gijon on Monday. Villarreal are 19th in the 20-team league, three points from safety in a nightmare season that has seen them exit the Champions League and cup competitions without a victory. 'The Yellow Submarine' have gone 10 games overall without a win. In other 19th-round games, it's - Espanyol vs Granada; Racing Santander vs Getafe; Real Sociedad vs Atletico Madrid; Rayo Vallecano vs Mallorca; and Levante vs Zaragoza. London: Chelsea striker Didier Drogba is on his way out of Stamford Bridge in the summer to join Chinese Super League team Shanghai Shenhua, according to The Guardian. The striker's contract with the Blues expires at the end of the season, and it is thought the Ivorian is seeking a two-year extension, but the club is only willing to offer an additional 12 months, which Drogba has reportedly refused. Former Chelsea striker Nicolas Anelka joined the Shanghai club at the end of last year on a two-year deal believed to be worth £200,000 a week, but a move for Drogba is expected to top that, with his three-and-a-half-year contract potentially reaching £270,000 per week. "Everything is going well so far, though there have been a few obstacles," said Shenhua board member Zhou Jun. 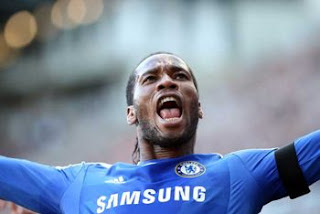 The Ivory Coast star is currently representing his country at the African Cup of Nations and the West Londoners are thought to be unwilling to sell him in the current transfer window, but are powerless to prevent him from settling a pre-contract agreement with foreign clubs, with L'Equipe stating that Drogba is set to be "the first great African sportsman to play in China". 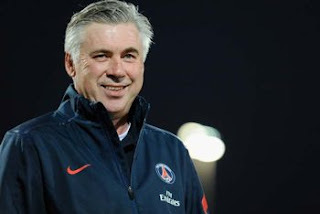 The former Marseille star was the Premier League's top scorer as Chelsea won the Double in 2010 under Carlo Ancelotti, but he has struggled for goals this campaign, netting just six times in 17 appearances. Shanghai finished 11th in China's 16-team top flight last season, but have added French manager Jean Tigana, as well as Anelka for the upcoming campaign. "It's like flirting with a girl. Perhaps she will resist you at first, but if you continue to ask her out, it always ends well. Never give up," said Zhu Jun, the club's spokesman on Weibo, the Chinese equivalent of Twitter. "It's like making a blockbuster film. When superstars like Jackie Chan, Jet Li and Zhou Xun have confirmed their participation, other actors and actresses will be confident of the movie," Zhu added in The Shanghai Daily. The Chinese Super League has swiftly emerged as one of the world's richest leagues, with wages exploding in recent years. Former Argentinian Under-20 international Dario Conca reportedly became the third-best paid player in the world, behind Barcelona's Lionel Messi and Samuel Eto'o at Anzhi Makachkala, when he joined Guangzhou Evergrande from Fluminense. Meanwhile, according to reports in L'Equipe, Shanghai also want to sign Lorient attacker Innocent Emeghara, a Switzerland international who hasn't settled in Brittany. Madrid: Real Madrid defender Pepe has released an official statement indicating that he did not attempt to injure Barcelona's Lionel Messi during his side's 2-1 defeat in the Copa del Rey quarter-final first-leg clash on Wednesday. The Portugal international's performance has caused controversy after the former Porto man was spotted standing on the hand of the Ballon d'Or winner. However, the 28-year-old centre-back has confirmed through Madrid's official website that there was no malice intended in the incident. "With regard to the play involving Leo Messi, it was an involuntary act. 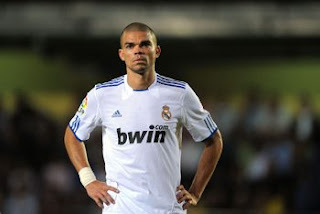 But even still, if Messi is offended, I apologise as I was only intending on defending my team," Pepe said. "I give myself body and soul [in games] and it never goes through my head to hurt a colleague." The two men will come face-to-face again when they meet at Camp Nou next Wednesday for the second leg of the tie. Manchester: Manchester United goalkeeper David De Gea may require laser eye surgery at the end of the season as he is long-sighted and wears contact lenses during games, according to the Guardian. The Spaniard, who United signed for a fee of around 18 million pounds in the summer, has worn glasses all of his life and was seemingly going to get the surgery done when he was still in Spain but the doctors there reportedly told him to wait because he needed a stable prescription. The 21-year-old has been replaced by Anders Lindegaard in the previous three matches and has come under criticism for various mistakes made during a difficult start to his United career. The Guardian reports he has had many a check-up with the on-site optometrist who is based at the training ground and the conclusion is to have the surgery in the summer when there is a chance for him to recuperate within the four days needed after such a procedure. 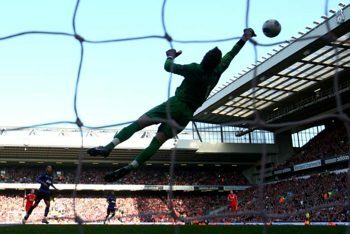 This should give him enough time to recover before playing for Spain in the London 2012 Olympics as he looks set to miss out on Euro 2012 as Vicente Del Bosque looks set, injury and form permitting, to select Real Madrid's Iker Casillas, Barcelona's Victor Valdes and Liverpool's Pepe Reina. 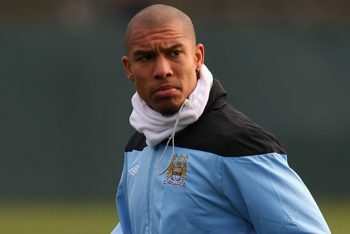 Manchester: Manchester City will sell midfielder Nigel de Jong in the summer transfer window if he fails to agree a new contract at the Etihad Stadium, according to numerous reports in the British press. De Jong reportedly rejected an offer of a new 100,000-pound-per-week deal at City last year, and has since found first-team opportunities limited this season due to the form of the likes of Yaya Toure, James Milner and Gareth Barry. While he will not be let go during the January window due to Toure's appearance at the Africa Cup of Nations and Owen Hargreaves' frequent injury and fitness problems, Roberto Mancini could cash in on the Dutchman with his current deal due to expire in 18 months' time. City have been more frugal with their owners' vast resources due to a need to comply with Uefa's Financial Fair Play regulations, and so may be forced to sell before they buy in order to strengthen the squad. The club are willing to discuss a new contract with De Jong, according to the report, but are yet to open talks with his agent Rodger Linse. London: Arsenal's players could hardly ask for stronger motivation when they face Manchester United in the Premier League on Sunday. The match at Emirates Stadium represents a chance for the Gunners to bounce back from consecutive defeats, boost their chances of getting back into the Champions League qualifying spots and dent their opponents' chances of retaining the title. There's also the matter of payback for August's 8-2 humiliation by United at Old Trafford. "It is a massive opportunity because you feel we have given six points away in the last two games in a way that is unbelievable," Arsenal manager Arsene Wenger said. "It is time for us to wake up and be focused. We have a good opportunity to do that against Manchester United." But victory is just as important to United, which could draw level with Manchester City at the top of the standings with victory over Arsenal. That's if third-place Tottenham can grab a surprise win at City in Sunday's other game. "We will go there in a positive frame of mind and try to win," Tottenham midfielder Luka Modric said. "We do that against every opponent." United could already be ahead of City but lost back-to-back games to Blackburn and Newcastle before bouncing back with a 3-2 FA Cup win at City. A 3-0 win over Bolton then got the Red Devils back on track in the Premier League, moving them 12 points clear of fifth-place Arsenal. United defender Chris Smalling, who has returned to action after tonsillitis, blamed a rocky patch that included Champions League elimination on injuries. "We've probably had more injuries than any other club in the league," Smalling said. "I definitely don't think many teams have lost players of the caliber of Nemanja Vidic and Darren Fletcher for such lengthy periods. And yet we're still going strong, we're still challenging for the lead and we're even getting a few players back now, which will be crucial for the title run-in." Arsenal can at least draw upon good home form, with only Liverpool in August winning at Emirates Stadium. "I am confident we will get into the top four," Arsenal goalkeeper Wojciech Szczesny said. "We don't deserve to be outside the top four. We should be challenging for trophies every year and I believe the results will pick up and we will at least finish in the top four because we have the quality in the squad to succeed." It's away from home where Arsenal is struggling, with a 2-1 defeat at Fulham and last week's 3-2 defeat at Swansea leaving the Gunners with the Premier League's worst away defense. "I have no idea why we can't win away from home," Szczesny said. "The results speak for themselves and we have been really poor away this season. I really can't explain it. We go everywhere and try to do our best but the results don't go our way. We have talked about it and cannot come up with an answer." City is also going through a slight dip in form with three defeats in four matches in all competitions before Monday's 1-0 win at struggling Wigan. "It was a really important three points because it was a difficult game," City manager Roberto Mancini said. "Tottenham are having a fantastic season. They are a very good team, and it will be a fantastic game on Sunday." Tottenham is just five points behind City, which has been its rival for a Champions League spot for the past two years. Spurs clinched a place in 2010 with a 1-0 win at City before the positions were reversed with a 1-0 win for City last season. Spurs' players must hope last weekend's 1-1 draw with Wolverhampton Wanderers represents only a check to fans' expectations rather than the start of a decline after just one loss in 19 games. "It's only one game: one draw doesn't suddenly mean we're not going to do this or not going to do that," Tottenham manager Harry Redknapp said. "We've been on a great run and we still are. "We're still right up there, Champions League qualification is a real possibility for us and that's what we've got to aim to do." Fourth-place Chelsea is at Norwich in one of eight matches Saturday, when Liverpool is at Bolton and Everton hosts Blackpool. Newcastle is at Fulham, Stoke hosts West Bromwich Albion, Sunderland hosts Swansea, Aston Villa is at Wolverhampton Wanderers, and Wigan is at Queens Park Rangers. West Ham has the chance to take over at the top of the second tier when it hosts Nottingham Forest on Saturday, while current League Championship leader Southampton hosts Leicester on Monday. Rome: Inter Milan is full of optimism following an emotional derby win over AC Milan that is helping the club forget its dismal start to the season. With six consecutive victories, the Nerazzurri have climbed from 15 points behind to trail Serie A leader Juventus by six points approaching the season's midpoint. Inter remains at the San Siro this weekend to face fourth-place Lazio, the squad that is only one point above it in the table. "This is a squad that should be fighting for the title," Inter manager Claudio Ranieri said. "We've had an incredible run but we still haven't done anything. We've gotten back in the (Europa League) zone but we've got to get back in the Champions League places — because that's where Inter belongs. We're placing one brick at a time." Speculation that Inter might sign Carlos Tevez from Manchester City has waned recently, since word that the Argentina international is close to a deal with Paris Saint-Germain. "We've found a nice balance, and this kid who hasn't played for a long time, how much could he offer and how much could he take away?" Ranieri said. Inter began the season by failing to win its opening three matches, leading the club to replace Gian Piero Gasperini with Ranieri, although the real problem appeared to be Samuel Eto'o's sudden departure to Russian club Anzhi Makhachkala in August. Eto'o led Inter with 37 goals in all competitions last season. After a disappointing season and a half, Diego Milito finally appears to have rediscovered the goalscoring touch that helped lead Inter to an unprecedented treble in 2010. Milito's 54th-minute goal against Milan last weekend was his fourth in three games. Also, key playmaker Wesley Sneijder has returned after missing more than two months with a right leg muscle injury. "When I arrived everything was going wrong, but I've re-instilled in everyone the desire to battle and show that they're not finished," Ranieri said. "I've put everyone back into their natural positions and working with these guys is a real pleasure." While Inter was hosting Genoa on Thursday for a spot in the Italian Cup quarterfinals, it's real focus now is on Lazio, which exceeded expectations in the first half of the season but then was routed 4-0 by Siena in its first match after the holiday break. Lazio got back on track with a 2-0 win over Atalanta last weekend with an opening goal from Brazilian playmaker Hernanes and then Miroslav Klose's 10th league score of the season in stoppage time. "After the vacation it's not unexpected to have a blackout because you're not used to certain rhythms," said Lazio coach Edy Reja, the oldest manager in the league at 66. "Let's hope that letdown we had is over now. ... We're going to Milan to win." Juventus, which leads Milan by one point, visits Atalanta, while Milan plays at last-place Novara in a rematch of an Italian Cup game won 2-1 by the Rossoneri in extra time on Wednesday. "We lost but we're still five points in front of Inter," Milan striker Zlatan Ibrahimovic said. "There are still a lot of matches remaining, so that game wasn't decisive." Third-place Udinese, which is three points behind, hosts Catania. Also this weekend, it's: Cagliari vs. Fiorentina; Roma vs. Cesena; Bologna vs. Parma; Lecce vs. Chievo Verona; Palermo vs. Genoa; and Siena vs. Napoli. Valencia: Unai Emery will be pleased with his Valencia players as they cruised to a comfortable 4-1 victory over their city rivals Levante at Mestalla, in the first leg of their Copa del Rey quarter-final clash. After Jonas opened the scoring midway through the first half, Roberto Soldado added a second with 31 minutes played. Levante soon pegged Valencia back with a terrific strike from Arouna Kone but Pablo Piatti's goal before the break killed off the tie, and Tino Costa added a fourth in injury time. Valencia assumed total control of possession from the off, pressing extremely high and with great intensity. To add to the visitors frustrations they continually switched the ball between the wings as they looked to create space for Soldado and Jonas. Their hard work eventually drew rewards as Soldado regained possession in the opposing half, initiating a counterattack. He found Pablo Hernandez who timed his pass perfectly to slip in Jonas as he made a diagonal run into the box. The Brazilian striker squeezed a shot underneath Keylor Navas and found the back of the net. Valencia doubled their lead just seven minutes later. Pablo provided yet another dangerous cross from the right wing which Javi Venta failed to clear. Soldado was on hand to pounce on the loose ball, slamming an opportunistic volley home from the edge of the six-yard box. Levante were still yet to settle and had struggled to formulate anything noteworthy in attack, but that did not blunt the striking instinct of Arouna Kone. With eight minutes of the first half remaining the Ivorian took advantage of Pallardo’s loose control, producing a spectacular snapshot from 20 yards that soared into the top-left corner, giving Diego Alves no chance. Valencia were not through and restored their two-goal advantage in stoppage time. Pablo, influential for much of the contest, played a delightful ball to Piatti at the back post. The Argentine beat Navas to the ball, lifting his effort into the net but taking a knock for his troubles. Piatti's goal seemingly changed the dynamic of the game as after a swift Valencia counterattack in the opening minute of the second half, the game settled into a slower rhythm. The hosts tightened up in defence but the game descended into a very scrappy, ill-tempered affair late on. With 10 yellow cards being shown in the space of 10 minutes, the Levante players lost their concentration; Valencia almost scored a fourth but Victor Ruiz hit the post with a header from a matter of yards out. Kone was sent through on goal with just three minutes remaining and drilled a powerful effort at Diego Alves' near post. The Brazilian reacted well to turn the ball behind and avoid conceding what would have been a potentially disastrous second. Valencia countered in stoppage time and with men over, Tino Costa had space on the edge of the area. His shot took a wicked deflection off of Gustavo Cabral and looped into the net to secure a convincing victory. Los Che are in the driving seat ahead of the second leg at Ciutat de Valencia next week. Levante though can still dream of a semi-final tie against Real Madrid or Barcelona but they will need a minor miracle following Costa's strike at the death. Madrid: Another loss to Barcelona has piled pressure on Jose Mourinho, with support for the Real Madrid coach ebbing after another ill-tempered and ineffective display against their biggest rivals summed up by Pepe's ugly stamp on Lionel Messi's hand. Barcelona rallied for a 2-1 Copa del Rey victory on Wednesday for their 10th victory in 13 games, and sixth win against Madrid since the Portuguese coach took over in 2010. Mourinho's defensive tactics and use of centerback Pepe in midfield did little to stop Barcelona's attack, while his aggressive approach and lack of offensive inspiration drew jeers from the Santiago Bernabeu stadium. Even daily sports paper Marca, a staunch Madrid supporter, labeled Madrid's performance "woeful" and Pepe's stamp on Messi "repugnant." "Madrid have thrown their entire history overboard by electing this woeful style, which did not produce a single benefit," Marca columnist Santi Segurola wrote. "(Pepe's) presence in midfield represented a minuscule, almost nothing, Madrid that disappointed because Spanish football remembers a lot of (Madrid) teams with less talent that made it more difficult for Barcelona." "This team has bought the best players the market has to offer - what for? To play like an insignificant, distasteful team." Mourinho surprised by sticking with a defensive game plan that had failed before against Barcelona, with Ricardo Carvalho and Hamit Altintop starting in defence and Madrid's focus of disrupting Barcelona's midfield creativity led by Pepe, who came under heavy criticism from the Spanish press, with Marca calling his stamp "unacceptable." Pepe's actions were not surprising. The Portugal defender was red carded for a tackle on Barcelona's Daniel Alves in their Champions League semi-final in April, and he was also banned for 10 games in April 2009 after lashing out at two Getafe players in a skirmish that included him stamping on the back of Javier Casquero after pushing the player to the ground, unprovoked. "Pepe always plays fairly," Carvalho said. "Sometimes he plays to the limit but his intention is always to play the ball and to play cleanly." Pepe's stamp on Messi, who was also violently shoved in the head by Madrid defender Fabio Coentrao during the match, characterized Madrid's inability to deal with Barcelona, as the Catalans held the ball for nearly three-quarters of the match. "Pepe has trouble managing his aggressiveness. 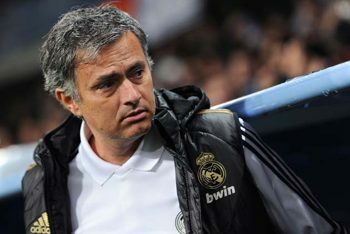 There's a great feeling of impotence in Madrid, who are trying all possible methods and Mourinho probably feels incapable despite all of his history of successes," Juan Carlos Cubeiro, co-author of Mourinho vs. Guardiola: Two Methods for Achieving the Same Objective, told The Associated Press on Thursday. "Mourinho tried a very intelligent strategy by hoping to strike on the counter. 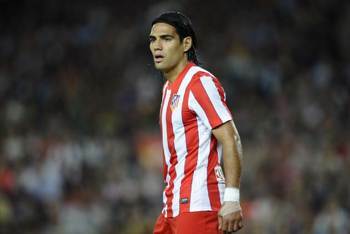 He is intelligent, he knows they can't play with Barca and the only way to success is on the counter." Cubeiro said Barcelona coach Pep Guardiola's belief in team play and the fact that so many of Barcelona's players came out of their youth academy were behind the highly-paid Madrid squad's inability to find a way to beat the Catalans. "You cannot copy the collective system that Guardiola relies on. Manchester United tried, Santos tried and neither succeeded," said Cubeiro, who echoed a sentiment that is unlikely to ever be adopted by Mourinho. "Madrid play better without Cristiano Ronaldo than with him, they have more options without him, which is quite a paradox" because Mourinho called the Portugal forward his best player on Wednesday night. Madrid lead defending champions Barcelona by five points in the league, and must first play Athletic Bilbao on Sunday before trying to overturn the first leg result on Wednesday. While Mourinho said Pepe could be punished for the stamp, there is no certainty over whether there will be any consequences to his actions in another Barcelona performance eclipsed by Madrid's transgressions. "There are people whose job is just that, to review the play. Let's see what they do," Barcelona defender Gerard Pique said on Thursday. "People just want to watch football, good games, good football. We don't want to talk about bad things like this, because it is bad for Spanish football and we don't really want this." Margao: Sporting Clube de Goa took the wind out of Mohun Bagan with a facile 2-1 win in a 15th-round I-League encounter at the Nehru Stadium on Thursday. Keita Boubacar and Ogba Kalu scored for Sporting Clube while Rakesh Masih scored the lone goal for Mohun Bagan. Sporting Clube were in command in the first-half but could not translate their superiority into goals. The first scare for Mohun Bagan came in the fifth minute when Sudan striker James Moga took everyone by surprise with a long ranger that Bagan goalkeeper Sangram Mukherjee somehow managed to parry away. Sangram again came to his side's rescue minutes later as he narrowed the angle and stopped Anthony D'Souza's fierce volley. There was no respite for Bagan and Sangram as Sporting Clube continued with their build-ups. Bagan played second fiddle to Sporting clube during the entire first-half and made no attempts on goal. In the second session, Sporting Clube dominated again but there was no breakthrough initially. The hosts finally tasted success in the 64th minute when Keita Boubacar rose high above the Bagan defence to nod Anthony's corner kick into the goal. Bagan were jolted. It required Rakesh Masih's booming right-footer to bring the visitors back into the match. As a draw appeared in sight, Sporting Nigerian substitute Ogba Kalu headed home Anthony's corner in the 82nd minute. It was celebration time for Sporting Clube. Mohun Bagan, who had slayed the mighty Churchill Brothers at the same venue only four days ago, were stunned. Kolkata: Riding on the solitary goal by Kayne Vincent, Prayag United defeated Chirag United Kerala 1-0 in the 15th-round I-League match, played at the Salt Lake Stadium in Kolkata on Thursday. The win takes Prayag United to 25 points from 15 matches while Chirag United Kerala now have the pressure on them to move towards safety with only 10 rounds of matches left. Prayag started the match with their first-choice keeper Abhijeet Mondol, with Deepak Mondal manning the defence, which was never really stretched. Jayanta Sen played in Lalkamal Bhowmick's place in the centre of the field and Brazilian striker Joshimar Da Silva Martins started up front. Keeping the pressure on the visitors, Prayag forward Kayne, who was playing just behind Joshimar, opened the scoring for the Kolkata outfit in the 14th minute. After conceding an early goal, Chirag United never looked like a threat for Prayag. The scoreline could have been different had Prayag capitalised on the few opportunities created by them in the either half of the match. Chirag United Kerala need to get their act together if they are to stay in the I-League next season, while Prayag will be looking to consolidate their position by winning their future round matches. London: Players from Barcelona and Real Madrid took eight of the 11 places in a 2011 Team of the Year voted by subscribers to UEFA's official website. Just as in 2010, Spain-based talent dominated with five of Barca's La Liga and Champions League winning side selected to three from their great rivals Real Madrid. European soccer's governing body UEFA, which announced the results of the poll on its website on Wednesday, said 4.5 million votes were cast. Barca's goal machine Lionel Messi would line-up alongside Real's Cristiano Ronaldo up front in the fantasy selection while Barca's Xavi, who received the most individual votes, and Andreas Iniesta would pull the strings in midfield. Right-back Daniel Alves and centre-back Gerard Pique complete Barca's representation in the back four where they are joined by Real's left back Marcelo. Real goalkeeper Iker Casillas gets the vote between the posts and like teammate Ronaldo was included in the selection for the fifth consecutive year. Only one player from the English Premier League was included, Tottenham Hotspur's Welsh winger Gareth Bale rewarded for some stunning performances which have helped the north Londoners mount a title challenge this season. Bale is the first Welshman to feature in the UEFA.com Team of the Year since it began 11 years ago. AC Milan centre back Thiago Silva and Bayern Munich's right-sided Dutch playmaker Arjen Robben completed the side with Barca's Pep Guardiola voted as the year's top coach. Manchester: Manchester United are in talks with Sir Alex Ferguson to reward the most successful manager of the modern era with a pay hike that will make him the highest paid boss in Premier League history, Goal.com can reveal. Sir Alex has been offered a 6.5 million-Pounds-a-year basic contract supplemented by up to 1m pounds worth of bonuses for a trophy clean sweep. His deal will remain on the same one-year rolling terms that he first committed himself to in 2004 but the new offer represents a 60 per cent pay hike on his current 4m-Pounds-a-year contract rising to 5m pounds. The structure of the 1m Pounds top-up bonuses would remain unaffected by the new agreement. United want the most successful manager in their history to formally accept the offer by the summer. Sir Alex's pay hike will leapfrog him above Arsene Wenger to become the best paid manager in the Premier League and will be worth more than the 6.5m-Pounds-a-year salary that Carlo Ancelotti earned at Chelsea. The Scot was told by United chief executive David Gill last October that the Glazer family wanted to recognise his phenomenal achievements, which have included a Champions League crown and four Premier League titles since the Americans took full control of the club. At the time the Glazers were in the dark about the United manager's long-term plans but since making the offer to Sir Alex's camp, he has come out publicly and said that he hopes to have three more years in charge. "All the talk at the top of the club over the last few months has been of a three-year plan," a United source told Goal.com. "The Glazers were not sure of Ferguson's plans so asked David Gill to tell him that his achievements over all these years would be recognised with a deal that would make him the best paid manager in British football. "There have been a few rounds of talks and the club want it sorted before his annual holiday to the south of France at the end of the season. "It makes good business sense for the club and the Glazers. 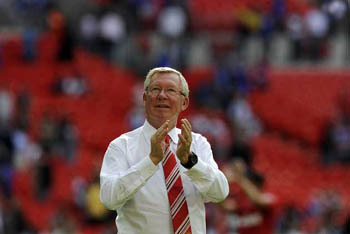 Ferguson has always been loyal to them and they feel it is time he was rewarded for the job he has done." It is understood that neither party feels the need to adjust the length of his one-year rolling deal, which means that Sir Alex is only entitled to 12 months’ severance pay and, in theory, gives United little long-term security. But the most successful manager in the history of British football, who celebrated a quarter of a century in charge at Old Trafford last November, has confirmed his intention to remain in the job well into his 70s. London: Thierry Henry faces a race to be fit in time for Arsenal's meeting with Manchester United in the Premier League on Sunday, according to the Daily Express. Henry pulled out of training with a calf problem on Tuesday, but the injury is not thought to be serious and he returned to practice lightly the following day. Arsenal's physios will continue to monitor Henry, according to the report, and are hopeful the issue does not flare up again. Gunners manager Arsene Wenger was strongly considering placing the Frenchman in the starting line-up for the first time since he returned to the Emirates on loan, although he may now have to re-think those plans. Meanwhile, midfielder Mikel Arteta looks set to remain sidelined after struggling to recover from a calf strain that ruled him out of the club's 3-2 defeat against Swansea City. Arsenal will leave a decision on the Spanish midfielder's selection as late as possible, but he had not returned to full training on Wednesday. The match will likely come too soon for defender Bacary Sagna, who is back in training after recovering from a broken leg.